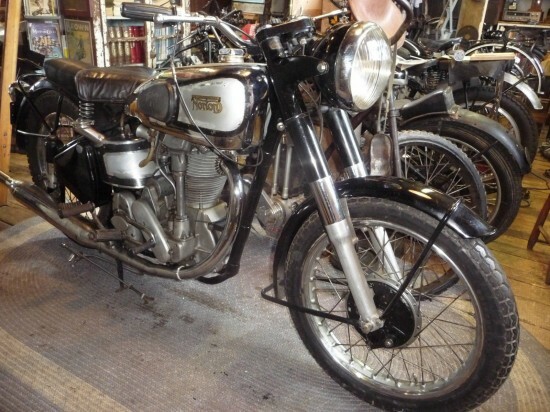 This 1948 Norton International appears to have spent some time with the Rudge Ulster that we had just pointed out. That is probably why it jumped out at me as I was cruising listings this morning. This came out of the same collection as the Ulster. 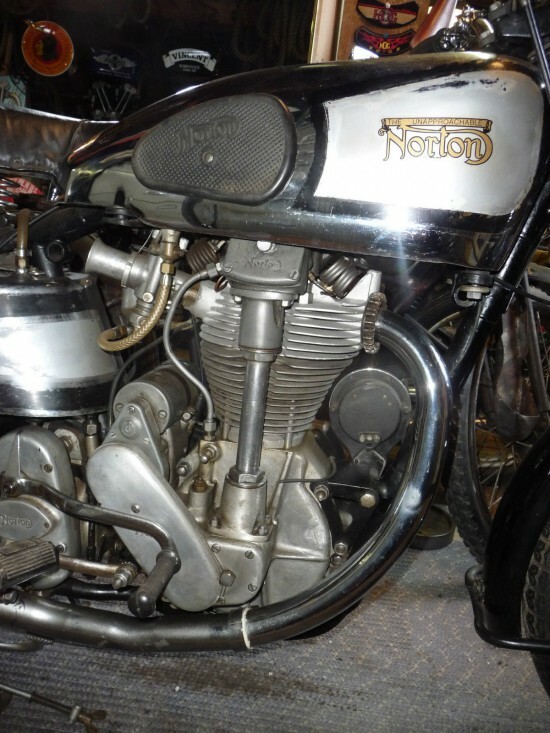 The matching number engine was in another Norton in the collection ! So I put it back where it belongs. Doing an internet search revealed that the “sister” Inter to this beauty exists in California i.e. sequential serial number! I have not done any work to attempt to start this bike. The indicated mileage is a guess as I can not read the first digit and who knows if the speedometer was changed in all those years. The speedometer drive is not installed and the cable is missing. The engine appears to be in good condition without broken fins or other signs of abuse. Tail light is incorrect. The Norton International is an OHC single cylinder bike which has a long and rich racing history. Beginning in the 1930’s and concluding with final production in 1958. Norton raced, and won far longer then should have been expected with a single cylinder. 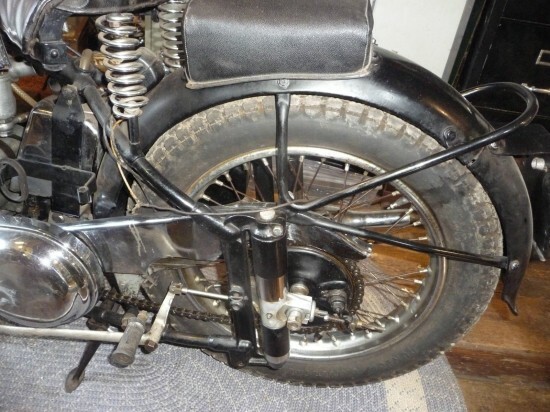 In the beginning the OHC design was supreme, later the featherbed frame kept the Norton Winning ways. 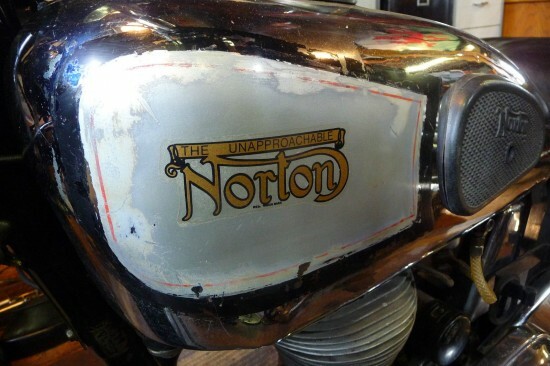 Looking at technology in this 1948 “Unapproachable Norton” and the Rudge Ulster, I can’t help but think the leaders of the British Motorcycle industry in the ’60’s really sank a mighty ship by not using the advanced technology they developed decades earlier in their production models.